The Parent School Organization (PSO) is an independent, non-profit organization focused on enriching the educational experience for students at Highland Drive. 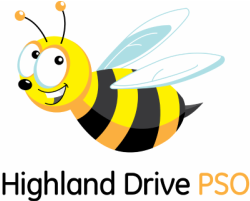 The PSO is the backbone of Highland Drive’s strong parent support system and provides an excellent opportunity for families to share the school experience with their children. PSO membership dues support fun, educational programs for students such as COSI on Wheels, class field trips, assemblies, STEAM Room programs, and much more. Funds are also used to purchase technology for the classrooms including iPads and Netbooks and to purchase and maintain playground equipment. Membership is open to anyone with an interest in our school – parents, grandparents, aunts, uncles, caregivers, teachers, school staff and community members. PSO meetings are held monthly at the school (meeting attendance is not required to become a PSO member).